It's the accident season, the same time every year. Bones break, skin tears, bruises bloom ...We're afraid of the accident season. We're afraid of how easily accidents turn into tragedies. We have had too many of those already. EVERY OCTOBER CARA AND HER FAMILY become incxplicablly and unavoidably accident-prone. Some years it's bad, like the season when her father died, and some years it's just a lot of cuts and scrapes. This accident season -- when Cara, her ex-stepbrother, Sam, and her best friend, Bea, are 17- is going to be a bad one. But not for the reasons they think. Cara is about to learn that not all the scan left by the accident season are physical: There's a long-hidden family secret underneath the bumps and bruises. 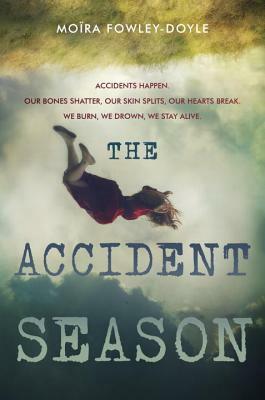 This is the year Can will finally fall desperately in love, when she'll start discovering the painful truth about the adults in her life, and when she'll uncover the dark origins of the accident season -- whether she's ready or not.